BRYAN EATON/Staff Photo. 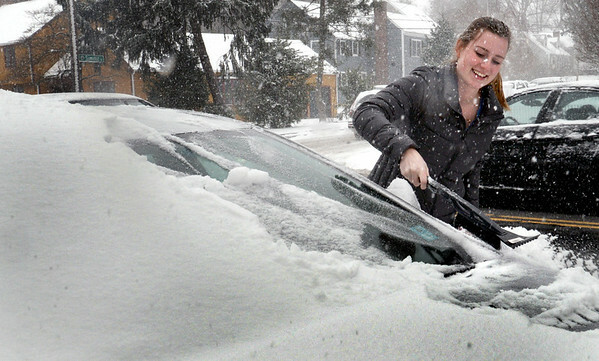 Newburyport High School senior Sarah Simon, 17, went into school yesterday morning with no snow on her car, but found plenty when she got out in the afternoon. Classes ended a half hour early and there were no after school activities due to the late season storm.